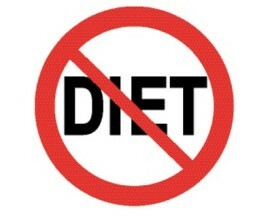 I dislike the word diet. For most people it means a short term period of deprivation that will inevitably be abandoned. That’s one of the reasons my approach is about making a lifestyle change and getting into balance and in my experience, when you do just that, you will lose weight as a side effect. Is it one size fits all? A lot of weight loss programs are designed for the average woman, who is 5’4″ and based on a moderate activity level. If you’re taller or shorter, less or more active, or you’re a man, you shouldn’t be following the same plan as a woman of average height who exercises for 30 minutes five days a week. If you can’t or don’t know how to modify an approach for your body’s needs, it probably won’t work for you. When I meet with a new client, I ask them about every other diet or weight loss program they’ve tried in the past. As we talk through each one, I often hear things like, “I didn’t really understand it, but I lost nine pounds.” This is often because many diets have nothing to do with science, or how the human body optimally works, but because you ate less or ate differently, you lost weight. And while that may be one way to cut excess calories, it may not be the best way to build or maintain muscle mass and lose body fat, optimize energy, and best support your immune system and overall health. In other words, the ‘whys’ behind any approach really matter, and if they’re flimsy or fishy, you may be seriously shortchanging yourself. Is it safe and healthy? There are a lot of ways to lose weight, but some of them result in weight loss at the expense of your health. A diet or weight loss program that’s too strict, severe, or imbalanced is dangerous, because it can result in the loss of muscle and bone density, a weaker immune system, organ damage, fatigue, depression, and hair loss. A safe, healthy weight loss plan should never provide less nourishment than it takes to support your ideal weight. The reality is, the cells that comprise ‘you’ at your ideal weight need a steady supply of fuel to perform their jobs, and your body is also always repairing, maintaining, and regenerating itself. When the amount of raw materials needed to do all of this work doesn’t show up, those jobs don’t get done, and your body breaks down. Any plan that doesn’t strike the right balance is going to leave you lacking, which isn’t safe or healthy, physically or emotionally. This is common question my clients ask me and navigating going out to eat is always an issue that comes up. If you’re following a plan that doesn’t allow you to dine out, you only have two choices — don’t go out, or go “off” the diet, a lose-lose scenario. I definitely encourage clients to look at menus ahead of time whenever possible, but any plan that has stick-with-it-ness should definitely include tools that allow you to eat at restaurants without feeling like you totally blew it. I often ask clients to list which foods they can realistically give up, and which they know in their guts they can’t forego forever. It’s an interesting exercise, because the can’t-live-without food list usually ends up being fairly short, then we talk about savvy ways to enjoy these items. When people swear off foods they can’t or aren’t ready to give up, they either overeat other things in an attempt to get that fix, or they eventually give in and binge on the forbidden food. This strategy may seem unconventional, but it makes so much more sense, because it allows you to satisfy an urge without feeling stuffed, sluggish, and remorseful. Spotlight: Bill FitzGeraldBig Muscles? No Thanks!